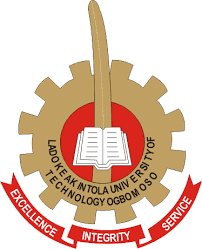 The Academic Staff Union of Universities (ASUU), Ladoke Akintola University of Technology Ogbomoso (LAUTECH) chapter on Monday, warned that the institution was going into extinction due to infrastructural decay. The union said it was disturbed by the under-funding of the institution by its owners: Oyo and Osun states. ASUU said despite its unrelenting efforts to ensure that abnormalities in the institution were addressed by the two states, the situation was getting worse, adding that the institution’s best lecturers were daily moving to other institutions where their worth would be appreciated. The union, in a statement jointly signed by its chairman, Comrade Biodun Olaniyan and secretary, Comrade Toyin Abegunrin, said Osun and Oyo state governments should be blamed for whatever happens to the institution. Share this post with your Friends on “Recall that the Academic Staff Union of Universities (ASUU) LAUTECH branch in the press statement of the 26th July, 2018 warned about the impending crises in the university due to government’s refusal to fund the University as part of their cardinal responsibilities to the Nigerian masses. “Presently, suffering and uncertainty of survival means have become the abiding companions of staff members. After the alarm raised in the said release by the union, one would expect that a sensitive government would have responded positively towards averting the looming crises. “However to our dismay, nothing was said or done on the release. It is unfortunate that about eight months after the suspension of strike in the university, all the promises of the University Governing Council that led to the suspension have not been fulfilled. It is saddening to report that up till now, the members of staff are being owed 10 months salary, promotion arrears, among other allowances. Salaries are being paid through Internally Generated Revenue (IGR) majorly from school fees. “It is painful and unfortunate that the union is being forced, at this point in time, to resume its suspended action. 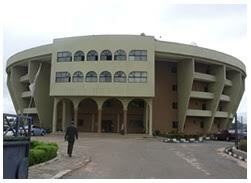 Members of the public should therefore blame the government, not ASUU, for this sad turn of event,” ASUU stated.